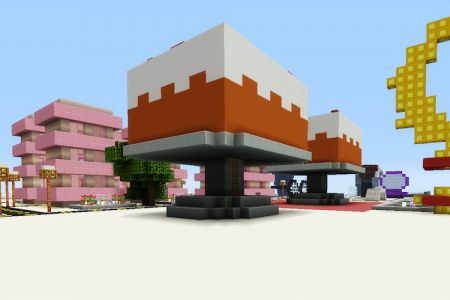 Check out my Minecraft cake house and easily recreate it yourself for an awesome decorative build for your map. 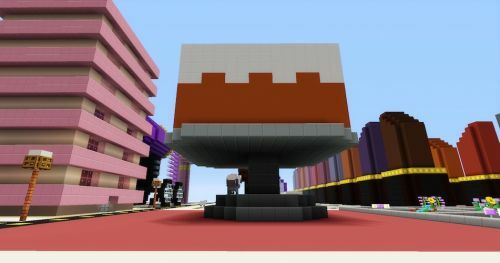 This Minecraft Cake House is built high on a silver platter, making its delicious appearance a nice addition to any city or survival base. 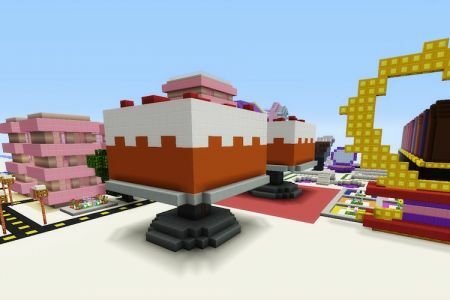 It is also soo easy to build your going to want to make more than one for you and your friends. I personally prefer to work, play, and build in creative the majority of the time. 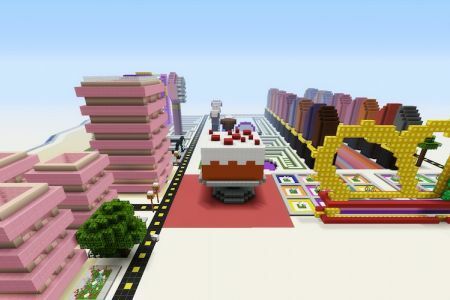 That means a lot of the ideas on here are built with materials much more available in creative. 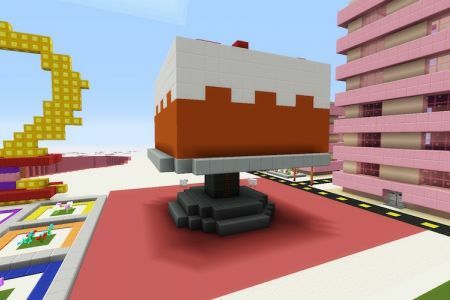 However even this cake house is easy to recreate in survival. If you can find yourself a mesa biome you’ll be set. 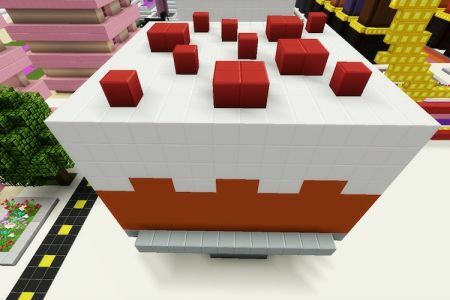 You’ll need orange clay for the bottom, white wool for the top, and some red wool. 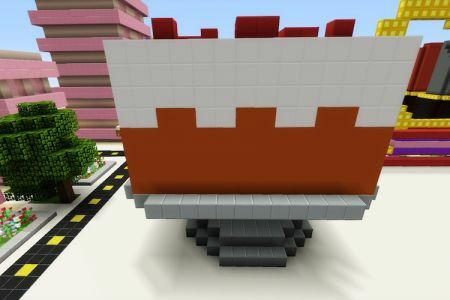 You can easily make red wool in survival by using the red tulip or rose bush to make red dye, and then dye white wool. Alternatively use red dye on a sheep and then use sheers to harvest its wool. You’ll have a never-ending source of red wool to add to your cake top. 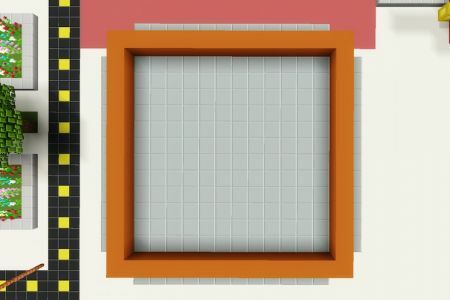 Orange Clay, Red Wool, White Wool, Grey Wool, 5 Ladders, Trap Door, Deco for your home! 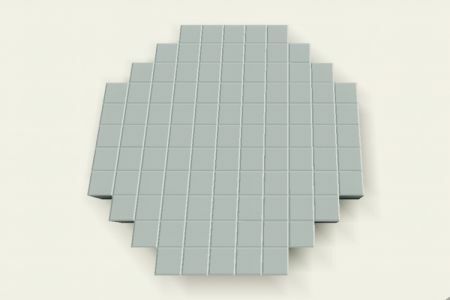 To start with you’ll want to create the base pattern, and then build upwards. 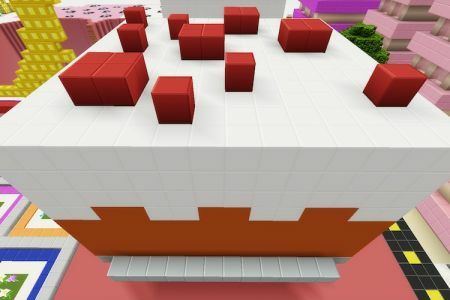 The base is super easy and is only 2 layers of blocks before you start building upwards. 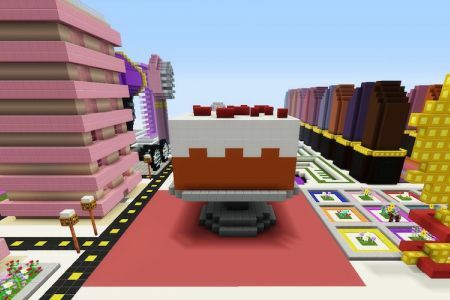 The Cake house itself is 14 x 14 blocks. 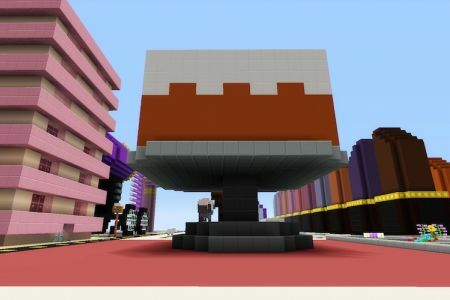 The only place it really gets tricky is when you start building the cake onto the base. 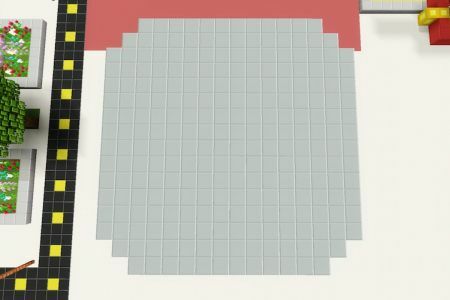 Use our photos for easy reference when building the base. 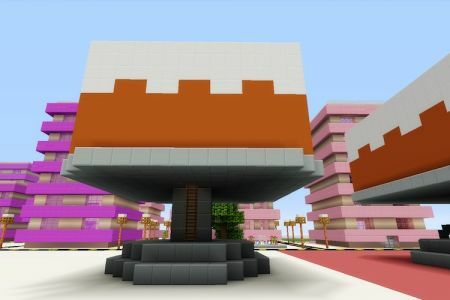 While you can’t exactly eat this Minecraft Cake House, you’ll love living in it. What I also find super convenient is that you have to climb up and the only mobs that can climb ladders are creepers. 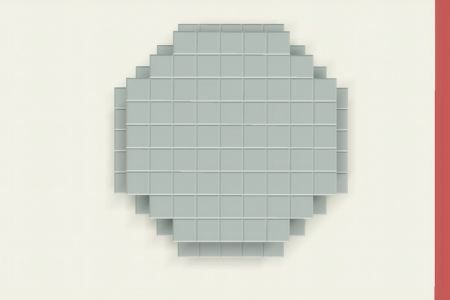 So its a bit defensive as well, even if you might need to make some special adds to keep the creepers away.